EC's action follows multiple complaints from Congress snd other parties about alleged foul play by the ruling BJP. Bhopal: After repeated complaints of misconducts and negligence by poll officials during the Madhya Pradesh Assembly election held on November 28, the State Election Commission has suspended three officials and served notice to 10 others. The suspended officers are – sector officer Sohanlal Bajaj, compounded Raees Mansoori and Naib Tehsildar Rajesh Mehra. 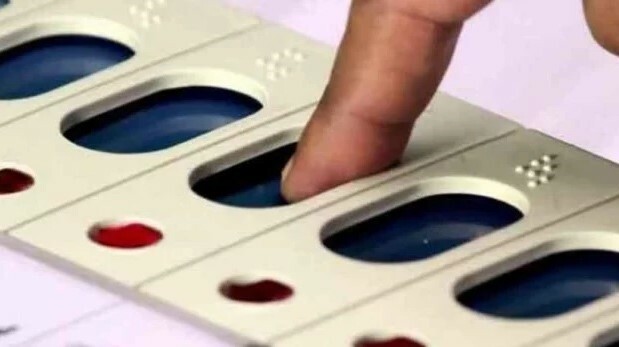 The former were suspended after they were found with EVMs in a private hotel in Shajapur district and later was suspended after EVMs of Khurai constituency of Sagara district returned with a delay of 48 hours. According to election commission rules, the EVMs are mandated to be returned to strong rooms on the same day or the following day, depending on the geographical aspects of the area. However, in two cases, EVMs reached after two to three days after polling. Besides the incidents in Shajapur and Sagar district, reports of negligence with regard to EVMs had sent the election commission on its toes. As per reports, one EVM failed to record voters at Mohdi polling booth in Anuppur district (repoll held on December 1), the LED screen outside the EVM strong room in Bhopal blanked out for hours, three reserved EVMs reached the strong room in Khandwa district, 37 reserved EVMs reached strong room in Shahdol district on December 1, two people with big boxes entered the strong room of Satna district, and 100 ballot papers were found at the Madhya Pradesh Police Headquarters. These instances of serious negligence had irked the election commission, said officials. The Congress has alleged foul play and attacked the ruling Bharatiya Janata Party (BJP) for trying to impact the election results. The party also reported the matter to the State Election Commission. In its complaint, Congress said the EVMs that had reached Sagar’s strong room after 48 hours of polling, belongs to the Khurai constituency which is represented by State Home Minister Bhupender Singh. Suspecting a conspiracy, Congress questioned why the LED screen of Bhopal’s strong room blacked out for hours without any power cut and who were the two people entering Satna district’s strong room? The party demanded action and clarification over the issues. The counting of votes will begin on December 11 at 8 am. Postal ballots would be counted first and then counting of votes would start. Fourteen tables and one for returning officer would be put up in each constituency and counting for the next round will only begin after tabulation sheets are prepared and given to respective candidates, the state election commission said on Monday.